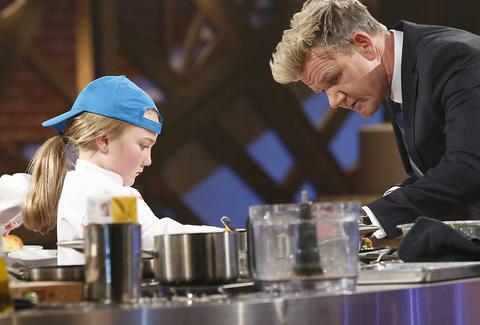 Plenty of people love Gordon Ramsay's home-chef battle royale, MasterChef , but for our money, nothing beats watching pint-sized chefs on MasterChef Junior make better-looking eats than anything ever featured on Bizarre Foods. To help get you inspired to cook at home more often, two of MasterChef Junior's champions, 14-year-old Nathan (Season 3) and 10-year-old Addison (Season 4), are here to provide you with helpful home-cooking tips fit for a champion. And a grown-up. Lee Breslouer is a senior writer for Thrillist, and wishes he could cook like Nate or Addison. Follow him to sharp knives: @LeeBreslouer.